Doctor Who is a British sci-fi show that first ran from 1963-1989 and was brought back to life in 2005. On the surface, Doctor Who is a show about a man named The Doctor who is a Time Lord from the planet Gallifrey with the ability to regenerate (become a new person) if he is ever on the verge of death. He travels through space and time picking up companions along the way and helping those in need wherever he ends up. On a deeper level however, the show is more about the characters associated with The Doctor and how their lives change from knowing him. I can't speak for the entirety of the canon of this long running show, except for the era of the Tenth and Eleventh Doctors. What I really enjoyed about the seasons I watched was the character development and story arcs. Each season was mapped out from beginning to end as a journey for the characters to experience and grow from. There were very few throwaway episodes because even the most self contained episode had bearing on the remainder of the season. There was continuity between seasons as well, even going back to the original series. The characters were given such care by both the writers and the actors that portrayed them, and you couldn't help but be swept up in their stories, even if you didn't particularly like the character. These things should not be surprising in any way, but it was a breath of fresh air when I started watching it compared to most shows on American television. The Eleventh Doctor will forever be my Doctor, but Ten holds a special place in my heart as well. David Tennant and Matt Smith both brought such different perspectives to the role of The Doctor - equally entertaining and captivating - and I really can't choose which portrayal I enjoyed more. As for companions, my favorites will always be Rory Williams and Donna Noble. Rory respected The Doctor as much as any companion, but unlike others he wasn't afraid to call him out on his shortcomings. I think the show would really benefit from more unique Doctor/Companion configurations because the dynamic between he and Rory was one of the most interesting on the show, and having a married couple in the TARDIS was so different. Rory was also probably the most badass of all companions while still maintaining his humanity, humor, and softer side. Donna is my favorite companion ever and the tragic end to her time with The Doctor only makes her storyline all the more memorable. I loved how she and The Doctor were best friends and loved each other without any hints of romantic attraction. She really brought some much needed humor and life back into the show after the end the third season with The Doctor's depression over losing Rose and Martha's unrequited crush. While I didn't think it was possible, the show lost me as a fan at the end of season 7. I continued watching all of the Eleventh Doctor specials as well as the first Peter Capaldi series, but I found myself getting very little enjoyment from it. What I loved about the Russell T. Davies seasons, as well as the early ones under Steven Moffat was how fun the episodes were even amidst some dark storylines, but once Amy and Rory left the show, it all kind of lost its way. The entire premise of Doctor Who is built around change and you can't really go into it without preparing yourself for some heartbreak along the way, but as with any long running show, it's really hard to keep up the expected quality after awhile. Characters leave, The Doctor regenerates - these things are a given with Doctor Who, so while the constant change is hard to deal with sometimes, the show wouldn't be Doctor Who without it - but the heart of the show should always remain, and I stopped watching when I found that to be lacking. It seemed to become more about shock value and wildly overblown productions without laying the groundwork for developing the characters along the way. 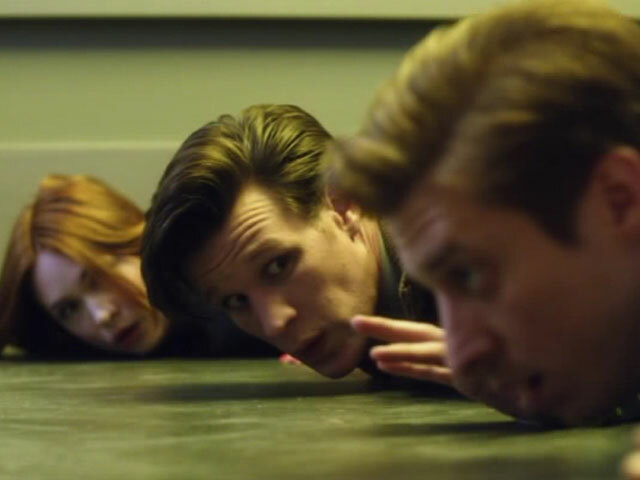 Doctor Who is a special show in that anyone would be able to find enjoyment in it if they are willing to put forth the effort of finding what works for them in the decades of available material. Everyone will have that one Doctor that they connect with and that one era that is most special to them. The show is constantly changing and evolving, so it doesn't get stale, but that also means that there is the risk of the show changing too much to no longer resemble what made you a fan in the first place. I may no longer watch the show, but the time of the Tenth and Eleventh Doctors will always be there for me to revisit and enjoy. Maybe I'll find my way back to the show in the future as the show runners, Doctors, and Companions are constantly changing, and may just fall into another configuration that is compatible with what I originally found enjoyable about the show.